Enjoy panoramic park, Lake Michigan, skyline views from this south facing condo on a high floor. 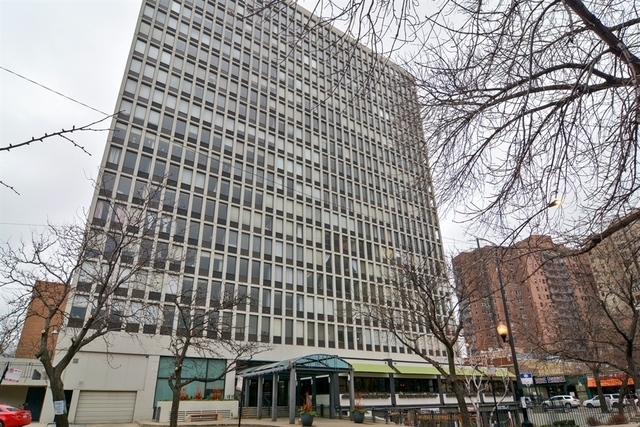 Ideal location in the heart of Lincoln Park. A minute&apos;s walk to LP Zoo, Lk Michigan, boutiques, grocery stores, restaurants, & more. Public transp less than 1 min away. Renovated, open kitchen w/stainless steel appls, granite counters, maple cabs, & island. Updated bathroom, bamboo floors, & ample organized closets. Just painted. Amenities: 24 hr doorman, pool, sundeck, storage locker, bike rm. Asmts incl: Heat, air, has, tv/cable, internet, & more. Prime deeded garage space included in price. On-site prop mngr & bldg eng.